Contributor: 2JupitersTooMany. 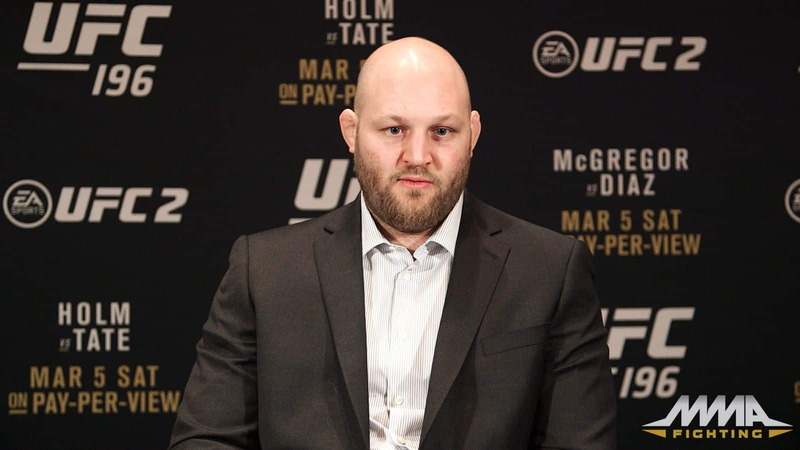 Consider Ben Rothwell. I’m talking about that heavyweight monster who was undefeated in the IFL. If you’re a casual fan, maybe that doesn’t ring a bell. How about this: He’s the one who fought in the UFC last week. Now that the Rua bandwagon has quieted down and Machida is off sculpting bonsai trees and practicing crane kicks in the sunset again, it’s Ben’s turn to complain. Still nothing? He’s the heavyweight who got knocked around by Cain Velasquez for just over a round. You know, the one with the shaved head and the beard. Ah yes, Mr. Rothwell. Big Ben is upset, and it’s not because he tenderized his opponent for five rounds and got clowned by Cecil and his band of merry peoples. No, Big Ben is upset because, one minute into the second round against Velasquez, referee Steve Mazzagatti stopped his fight. And while other fighters might have viewed Steve as some sort of benevolent protector from heaven, Ben regarded him like one of those suburban, beret-wearing Guardian Angels. Who wants to be rescued by a guy in a red beret? Not Ben. Mazzagatti ended what had been an almost entirely one-sided conflict. That’s what it was: a conflict. It wasn’t a war. It was more along the lines of a paramilitary “operation”. And if Operation Desert Storm was about oil, then Operation Big Guys on the Machida Card was eventually about gas. After the first round, Rothwell didn’t have any. Just about every ounce of it had been forcibly siphoned away by Cain. But even on his last, hazy reserves, Big Ben was determined to stand up like his mechanical doppelganger in London. He wanted to swing his big arms and tick-tock through the exhausted remains of the final two rounds. He wanted one last chance to clock his opponent. Tip your waiter. Try the veal. Velasquez worked to take down Big Ben. And when he got him to the ground, he connected a few times. After an extended, half-standing struggle for position, both men were back on their feet. Velasquez landed a few punches and secured another takedown. He continued to do damage. And then, after Rothwell worked one more enthusiastic escape to the feet, Velasquez exploded. He took Ben down with ease and dropped a series of really frightening looking elbows, as well as a number of heavy punches to his naked face. It wouldn’t be fair to suggest that Rothwell wasn’t conditioned for the fight. He absorbed serious punishment during the first round that appeared to bleed little invisible rivulets of Rothwell’s strength. Ben’s liquefied soul appeared to trickle from his punctured body. With one minute remaining, Velasquez secured a few scary moments of full mount and thunder clapped down something like a dozen powerful, unanswered shots to Rothwell’s wide-open face. They were the kind of blows that could have provided a man like Andrei Arlovski with a career full of canvas naptimes. But Big Brawny Ben just soaked it all up with his pink-flushed towel of a mug. It was the sort of 10-8 round that sends girlfriends on extended breaks to the bathroom. The reality here is that Mazzagatti could have stopped that fight any number of times prior to 0:57 in the second round. Yes, Ben could have sacrificed a few thousand more brain cells on his way to a three-round 30-24 decision. And sure, the fickle gods that overlook this unpredictable sport might have offered up a third-round shocker in the form of something like an ill-timed rib void for Velasquez. But be serious. That stoppage was fine.